Rivals Camp Series is coming to NAFO April 6th and 7th! This is an opportunity for us to open the concessions stand and serve the athletes and their families and earn money to support our football program. Last year the stands were full! Please sign up as we'll need lots of people. If you have not started the new district player registration, please do so. This is required for each player. The district will not allow any football player to play this week if they are not registered online and paid their $100 activity fee. Weights and conditioning for those transitioning to the Nation Ford Football program will begin Monday Jan. 28th - 2019. 4:00- 5:00 pm. This will continue until spring practice Monday - Thursday. We will start rising 9th grade workouts at Nation Ford after school on March 25th from 4:00 pm - 5:00 pm. We will lift and condition Monday- Thursdays. We will meet in the weight room. NAFO football summer workouts: Starting date June 5th - July 26th / Dead week is July 1th - 6th - First mandatory full football practice Friday August 2nd / 9am. Summer workouts - Monday - Thursday 9am-11am. There will be some Fridays. Check calendar on this site. This program is designed to provide kids ages 6-13 with exciting and fun experiences. 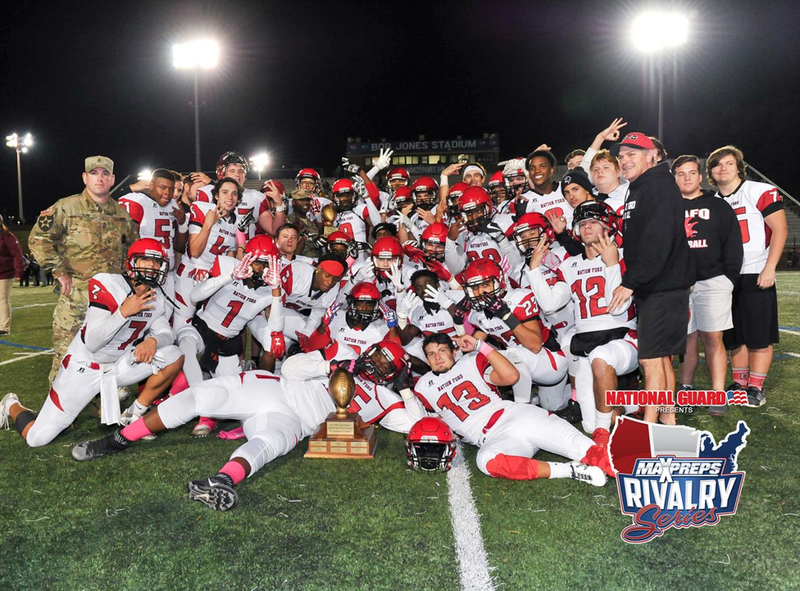 Introduce them to and/or expand their love of football and provide interaction with excellent role models – the NAFO Senior Falcons Football. Please ensure that you receive the latest and greatest about NAFO Falcon Football by liking our FB page and following us on Twitter!